It Bangla How To YouTube YouTube Earning How to add Custom Thumbnail for YouTube Videos? 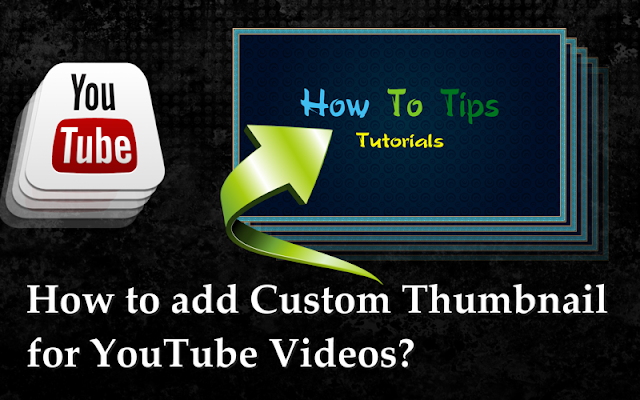 Today I will show you, How to add Custom Thumbnail for YouTube Videos? Why we change Custom Thumbnail for YouTube Videos? I think Custom Thumbnail is one of the most important part for YouTube video. A viewer can easily understand what is about your video? One Custom Thumbnail can express everything and there is a scope to tell the viewer what you want to say through your video. Why we should use a Google account? How to create a successful YouTube channel with set up? This is very simple and easy tutorial for the beginners who are new in YouTube. After uploading, the video YouTube gives you three default pictures from your video for video thumbnail. But some times it is not looking good because, it is automatically take some unnecessary parts form video. There is a nice option, you can use Custom Thumbnail. Just click here and open the image from the computer. You have to create the image which you want to use for custom thumbnail. After uploading the image, wait for few second and Custom Thumbnail is ready for your video. In this way you can change Custom Thumbnail for the YouTube video. Now click on Publish option. Suppose you have already uploaded the video before, but now you want to change Custom Thumbnail. First, go to video manager, and then click on Edit. Under “info and settings” you can see the Custom Thumbnail option. Now click and change the image for Custom Thumbnail. In this tutorial you learn, How to add Custom Thumbnail for YouTube Videos? Sign in to your account- Go to Video Manager- Edit- Custom Thumbnail. How to Enable Custom Thumbnails on YouTube? How to Add a Custom Thumbnail on YouTube? How to Add a Custom Thumbnail to Your YouTube Videos? How to Enable YouTube Custom Thumbnails? Change Custom Thumbnail on YouTube Video? Where is the custom thumbnail button? How to make your own thumbnails for YouTube videos? How to add thumbnail to YouTube video?